What’s better than playing a fun video game? The answer is playing a fun game within a video game. If an arcade or casino exists in a game, you can bet that the programmers took the time to implement several minigames for the player to check out. Sometimes, the staff may be taken aback when players begin dedicating more time to these minigames than the larger one they paid actual money for. Now, despite blatantly referencing The Simpsons in the name of this post, I tend to hate it whenever slot machines show up in video games. I know that whenever they do, the developers are going make players gamble special tokens in an attempt to win prizes that can only be purchased with said tokens. The prizes in question tend to be absurdly powerful equipment or other useful items that can’t be found anywhere else. So in lieu of completing a sidequest or some other test of skill, the developers decide to leave your ability to procure these helpful resources to luck (or amassing a lot of money to buy the tokens outright). This is why when I tried out the SoulSilver Version of Pokémon, I was delighted to learn that the slot machines had been replaced with an actual minigame: Voltorb Flip. It was described in a pre-release review as a cross between Picross and Minesweeper, and I’d say that’s an accurate description. Sure, there is some luck involved – especially when you manage to win several games in a row, but the game is surprisingly addicting. While I normally would ignore the slot machines in the original games, I found myself playing several rounds of Voltorb Flip; like Minesweeper, it can get surprisingly harrowing when you’re forced to guess. Interestingly, we have PEGI rating system to thank for this game’s existence. They had stricter guidelines on gambling, and games that encouraged the practice were typically given an 18 or adult rating. Normally censorship isn’t a good thing, but considering that this particular instance forced Game Freak to come up with this fun alternative, I can safely consider it a rare exception. The only downside is that the payout isn’t that great, but at the end of the day, playing the slot machines was purely a means to an end. Voltorb Flip, on the other hand, at least succeeded in making the means themselves enjoyable. Dragon Quest fans know that series creator Yuji Horii is quite the gambler, hence why so many of his games feature casinos. 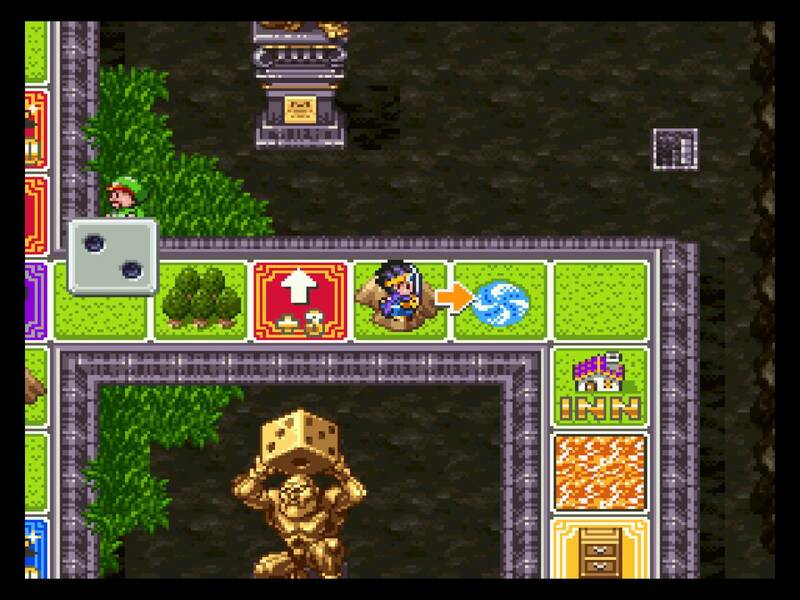 While my stance on their presence is the same as the above franchise, the remake of Dragon Quest III saw fit to introduce a minigame I quite liked. It’s essentially what would happen if you made Pachisi into a JRPG. Every turn, you roll a die, allowing your character to move the number of spaces rolled. The tiles you land on have different effects, and may even force your character to fight a random encounter. Again, though there is some luck involved, it is a fun diversion from the main game, and the prizes are almost always worth the trip. Better yet, this game would show up in later installments as well – in fact, I played it for the first time in the excellent DS remake of Dragon Quest V.
I have always enjoyed it whenever developers hide their older efforts in a game as an Easter egg. If it’s an especially good game, you can find yourself rediscovering a beloved classic and appreciate how much the developers have evolved since then. Though it can backfire if they outshine the game in which they’re embedded. In other cases, you can use the opportunity to discover a game you may not have experienced back when it was released. Though there are technically two different developers at work in this case, I had such an experience with Rare’s Donkey Kong 64. 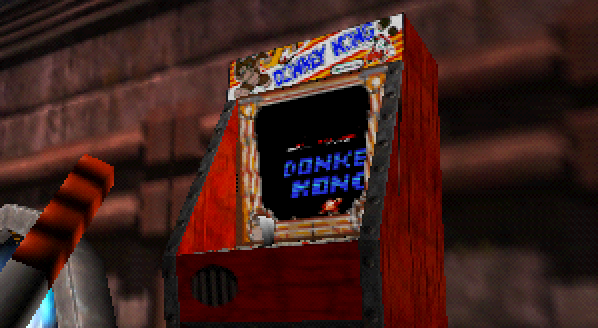 In the game’s third stage, you can find a Donkey Kong arcade cabinet. It’s not just there as a prop either; by spawning a lever in front of it, you can play the game for yourself. This was the first time I ever got to play Shigeru Miyamoto’s debut title, and I was taken aback by how difficult it was compared to the main game. Then again, it also only gives you one life with which to complete the first four stages. If you’re successful, you obtain a Golden Banana – the Donkey Kong 64 equivalent of a Puzzle Piece, Power Star, or Shine Sprite. Strangely, unlike most examples of this trend, playing the precursor is actually required to complete the main game. Completing a second round with only one life nets the player a coin that is required to reach the final boss. Either way, I found myself attempting to clear the game several times before I was successful to the point where I forgot I was playing Donkey Kong 64. Have you ever immersed yourself in a minigame to the point where you forgot about the game surrounding it entirely? The one minigame that I probably put more into than the actual game over time is the Triple Triad card game from Final Fantasy VIII. On the one hand, you can get some great items from it, but on the other hand, I just wanted to collect all of the cards so that I could have the full set. The mechanics were fun 90% of the time and it felt like there was an actual strategy involved with playing. On the same note as the Donkey Kong 64 vein, finding the early NES games on the original Animal Crossing on the Gamecube helped me sink some extra hours into that. In no way did I put in more hours on those than the actual game, but I did put my fair share of efforts into finding and collecting those so I could play some classics. I liked Triple Triad, but not to the extent I played it all the time. It’s one of the better FF side games though. Yeah, I’ve heard Triple Triad is pretty addicting. It probably kickstarted the trend of those card-based minigames in RPGs. Apparently, characters can ask to partake in a game in rather strange situations. I also heard that Animal Crossing did indeed have a few classic NES games imbedded in it, including Balloon Fight. It reminds me that the first time I played the original Metroid was as a bonus in Metroid Prime. Yeah, things get a little weird when you are trying to save the Garden and you stop to play a few rounds of Triple Triad with the another S.E.E.D…. Yes, Triple Triad all the way. I loved that game. I’ve heard there was a side game within it, called something along the lines of ‘Final Fantasy VIII’, but I only played that game to get more cards for the main game. I know what you mean; I’ve heard mixed things about this Final Fantasy VIII, but Triple Triad? Universal acclaim. Ok, so don’t hate me but I played a LOT of Blitzball in FFX. I didn’t forget about the main game, but I did put it on the back burner whilst I played a whole heap of it when I could. Hey, don’t feel too bad. From what I’ve heard, it’s quite absorbing. Heard the rules are a bit strange, though. It’s kind of like a bizarre SRPG. I found it fun though. Even from what little I played of Final Fantasy VII, I know the Golden Saucer is famous for that snowboarding minigame. Reintroducing the Golden Saucer in XIV was a great idea. Oh yeah, I remember doing that too. It helps that raising them eventually nets you emblems. I was a little disappointed when they didn’t make a return in Sonic Heroes, but that was the least of its problems. I don’t know if this counts, but I really liked the hacking in Bioshock. Does that count as a mini-game? Sort of. I consider the Pipe Dream segments of BioShock more of an elaborate game mechanic than a fully fledged minigame. I was referring to something like one of the examples I provided. I don’t gamble. Except in video games. Shhenmue was problematic on the N64. Er, sorry, Dreamcast. Well, if you’re going to lose a lot of money at once, it may as well be fictional, right? Apparently, there is a lot of interactivity in Shenmue; you can even become a forklift driver. Oh yes, I completed Shenmue back in the day. The forklift bit was good fun. Gambling. Staying up too late. You can be a proper maverick! When I was a kid, I remember thinking it was the funniest thing when there were games inside of games. Now, I find it really interested and creative! One of my current favorite examples comes from a game that I don’t own or play. My nephew showed it to me. He is a huge fan of Call of Duty and related games (he’s like… 12? Not particularly age appropriate, but he’s having a grand time). I don’t remember if it was Black Ops or another game in the series (it might have been a different series, I didn’t bother to look it up), but one of the games has a game hidden in its title screen. 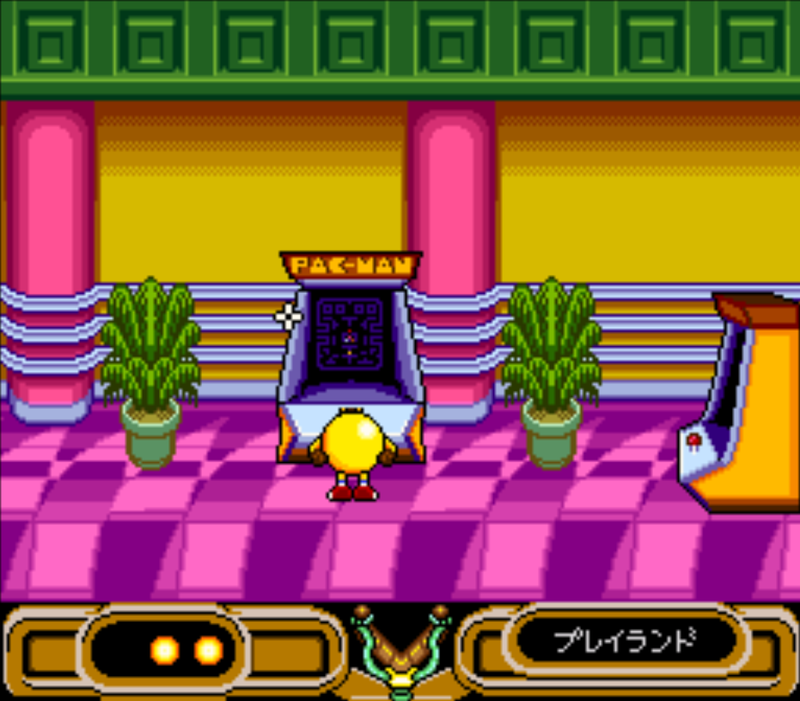 If the player is motivated enough, they can maneuver around the game’s title screen as the on-screen character and access one of the computers in the room that the title screen features. Accessing this computer pulls up a game. The game in question is a unique type of video game that I wish was around more: the text adventure. I think that what delights me most about this particular example is not only its creative location, but also the fact that the game doesn’t even slightly resemble the genre of the shooter it is found in. It’s interesting that you mention that because I recently learned that there’s a text adventure game hidden in Google. Type “Text Adventure” into good, right-click on the page and choose inspect. From there, click on the console tab in the menu that pops up. It’s really interesting when the hidden games are in a completely different genre from the one that surrounds it. I wasn’t aware of the Google Easter egg. I’ll have to go check it out! I hate slot machines because they require no skill or strategy. As someone who works for an online casino it amazes me to see how many people throw away cash on those things. The mini game I spent the most hours on was Blitzball in Final Fantasy 10. Sport management mixed with RPG mechanics is a cool mix. I’m surprised that Square never made a standalone Blitzball game. That would be more fun than some of the other FF spin-offs they have produced over the years. Same here. 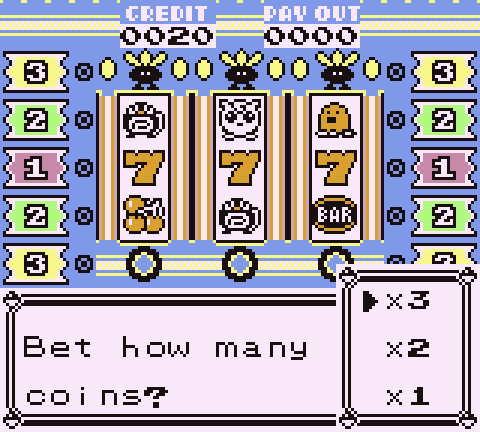 I think we have Pokémon to blame/thank for me hating slot machines. Just the fact that there were so many good, exclusive prizes to be found by gambling for coins was the worst thing ever. If I were to gamble, I would prefer it to be in a game of skill. Yeah, I like how Blitzball mixes sports with RPG elements; that’s an idea that really hasn’t been explored enough. That’s why I really enjoyed the Game Boy Color editions of Mario Golf and Mario Tennis back in the day. A little card game called Triple Triad within FFVIII. My absolute favorite mini-game of all time. I’d spend hours just playing to win rare cards and not make any progress in the game itself at all. That certainly seems to be a popular pick; at least half the commenters chose that! I disagree about casino style minigames in games being bad. They are very simplistic, yet engaging experience. There’s a reason why people gamble in real life so why not just let us simulate that in a videogame, all the excitement of gambling but without having real money involved. I for one was gutted that they removed the slots in Soul Silver. I actually had a lot of fun playing the card flip game as simple as it may seem. Sometimes simple minigames are the best and that’s why the casino minigames work, they’re minigames for a reason. My favourite minigame has to be Checkerboard Chase from Kirby 64. It’s a simple game that’s all about playing mind games on the opponent. The goal is to knock enemies off the board by deleting the line of blocks in front of you. There’s many ways you can approach it as you can hit enemies who aren’t paying attention by deleting the blocks they’re stood on or you can be more technical and trap them, giving them less space to move and eventually defeating them. I myself remember having fun with the Kirby 64 minigames. They were simple, yet well-implemented.